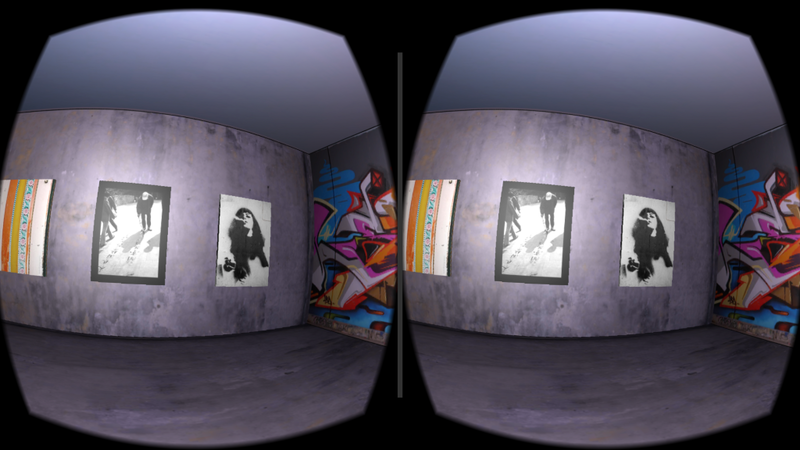 Two developers created a Google Cardboard app to view photography in multiple virtual reality gallery spaces. The fourth annual Photo Hack Day in Berlin brought creators and developers together for a 24 hour hackathon of building photography related apps. During the hackathon, EyeEm co-founder Lorenz Aschoff and Android developer Dario Penic set out to build a Google Cardboard app that would transport users into a virtual gallery space filled with the photos and artwork from individuals around the world. The virtual reality experience is called “Rooms” and it allows anyone with an Android phone and Google Cardboard to browse photos pulled from the API of EyeEm, a photography community and marketplace. The Rooms VR experience features four different exhibition rooms, each featuring a different theme (portraits, New York, Japan, and Street Art) and each having their own unique interior and music selection. For the most part this is a pretty simple app, displaying 2D photographs in a three-dimensional walled space. The point-of-view of the user is locked in the center of the room intentionally for ease of use. The pair did however make use of Google’s recent Cardboard SDK update to bring spatial audio into the experience, meaning you can hear the direction from where sounds is coming from in a VR environment. Yes, this prototype was built during a 24 hour period, but what it really shows is a glimpse into the future of what virtual reality art exhibition experience spaces could look like. As we begin to see full-motion tracked VR headsets like the Oculus Rift, HTC Vive, and Playstation VR make their way onto the heads of potentially millions of consumers in the next year, the need for a shared community space to experience art will become more and more apparent. Imagine artists creating VR masterpieces with tools like Google’s Tilt Brush and Oculus’s Medium. Pair that with the social experiences we have seen from Oculus Social or Toybox and the ability to roam around the room freely. Now you have an actual virtual reality gallery space that you can meet up with friends in, admire the 3D sculpture floating in the middle of the room, and walk around the back to see every angle. Yes, it just sounds like an art exhibit in real life. But only in virtual reality can we throw away the white room of the gallery and instead host the exhibition on the moon, and maybe over time the lack of gravity dissolves the artwork into the ether to never be seen again. Oh right, that’s just SnapChat.